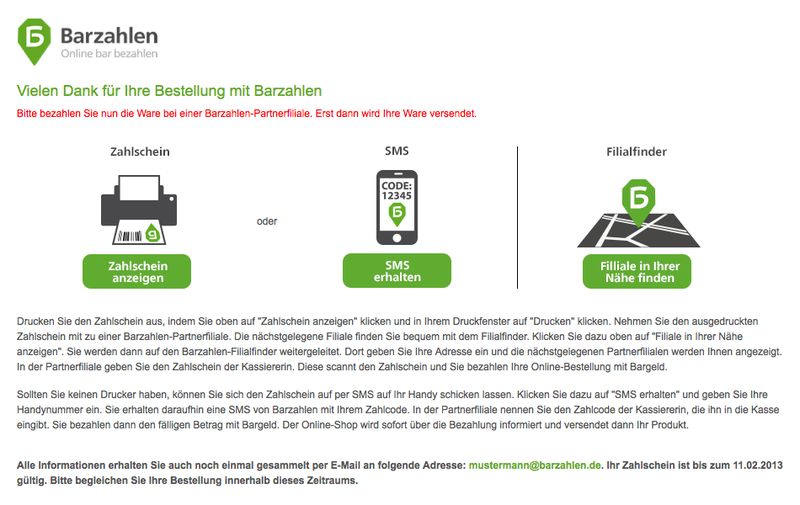 Barzahlen offers your customers the option of paying cash for their online purchases. 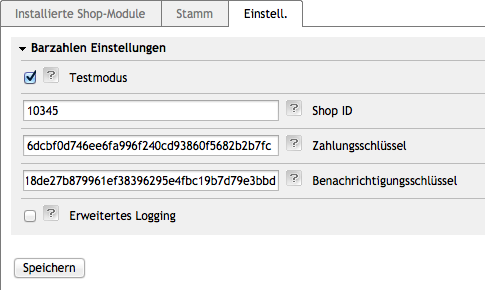 After completing the checkout process a barcode is displayed to the customer. He can easily print out this payment slip or have it sent via SMS to his mobile phone. With the help of that payment slip he can pay his online purchase at one of our retail partners (e.g. supermarket). You will be notified in real time of the payment and benefit from full payment guarantee and new customer groups.